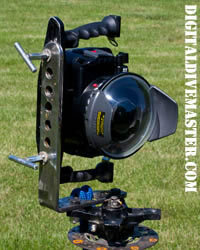 Lake Michigans only Underwater Panoramic Camera Rig! Jason is a recently (2009) certified PADI Divemaster (He went from no SCUBA experience to Divemaster in one year.) I'm a retired Master Diver Trainer and IDC assistant. When I dove Lake Michigan (1975-1998) average visibility was 10-15 feet. Diving by brail was common. A great day was 25 foot visibility. Those days of negative visibility are as dead as my diving carreer. Now 35 foot visibility is average, and 100+ foot visibility is not uncommon. This makes virtual tour / interactive / panoramic images a possibility. Shipwrecks are begging to be photographed. Since we're both avid photographers and have a common interesting in SCUBA diving (especially shipwrecks,) shooting U/W panos is the natural result. Jason and I originally toyed with the idea of shooting underwater panoramic images (and virtual tours) in 2009. We began some serious planning in 2010. After discussing several variations and ideas, Jason took the idea and ran with it. Now, you have to understand Jason – for kicks, he took several trashed Jeeps and constructed a working one. He's a talented mechanic and welder. He did a stint in the Army. So when it comes to getting a job done, he does it. In overdrive, and overdesigning everything. I'd probably use .25 inch thick aluminum. Jason used steel. 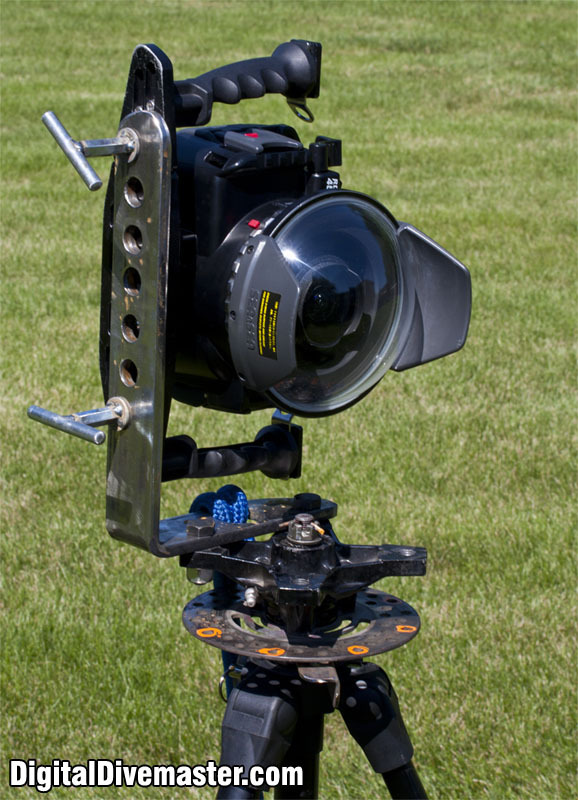 This panoramic tripod head is version two, and works perfectly. Future improvements (more tweaking than anything else) include a spring detent for the rotator base and "capture" cables for the attachment knobs. Dropping one of these knobs on dry land is bad enough. Underwater? It's gone for good! v2.1 will be the addition of a detent to lock the tripod on exact 45 degree headings comming soon this will help with verticle descrepancies due to user error, aka curent.